With Electronics Engineers onboard, Zade design and build remote monitoring and controlling systems to cater for remote locations. The Zade monitoring systems are equipped with one or two 4 MP IP cameras and a 1TB NVR for recording. The systems is connected to the Telstra 4G network and can be access from any computer or smartphone connected to the internet. With remote system checking and restarts, the systems has its own security system and recorded images can be viewed and downloaded over the internet. With ample power and solar array, the system will stay powered up to a week in complete darkness. Ideal for surveillance of remote locations, constructions sites, recreation grounds, or any area that can or could be vandalised or is a security risk that doesn’t have its own power or internet access. For areas that wireless and cable NBN cannot reach. 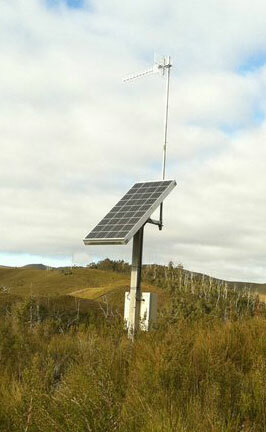 Zade provides a solar powered system that can be located on a property where NBN wireless is available and is transmitted back to the premises by a powerful wireless network bridge. This system is ideal for hilly locations and farms where wireless NBN is available beyond a ridge and will allow high speed internet to your house/premises. The systems are designed and housed in weather proof boxes with ample battery storage and large solar array. The system provides a 240VAC supply for commissioning the NBN equipment and is equipped with monitoring and wifi equipment. All mounted on a pole for security and antenna mounts.